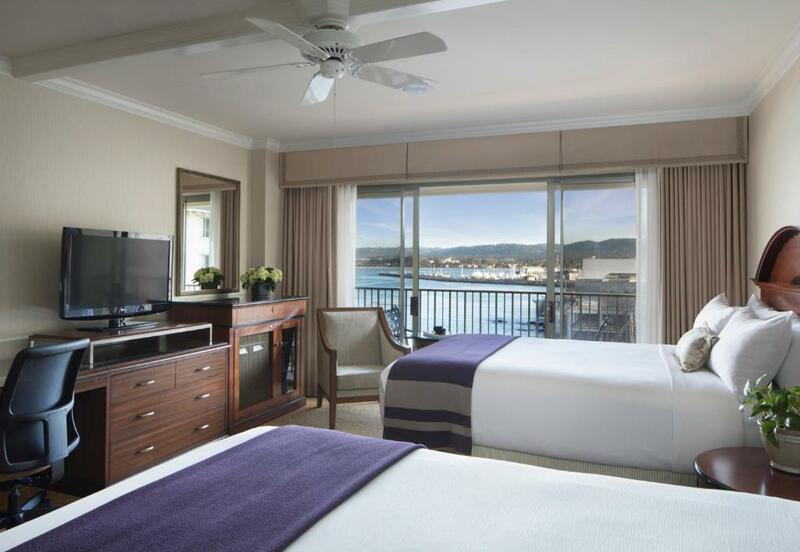 Our guests give high marks to the non-smoking Monterey Plaza Hotel and Spa for its spectacular scenery amazing beds and Cannery Row address. 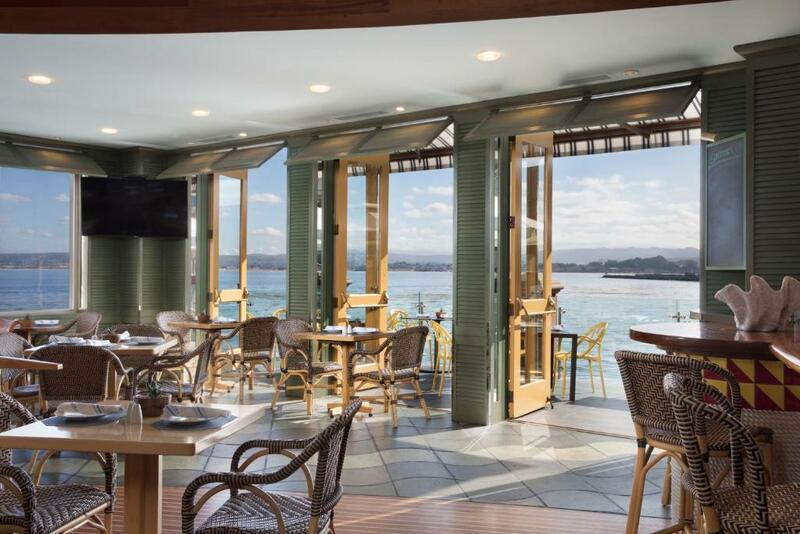 The hotel built on the sands of Monterey Bay offers sweeping bay and ocean views that captivate guests from the first hello. 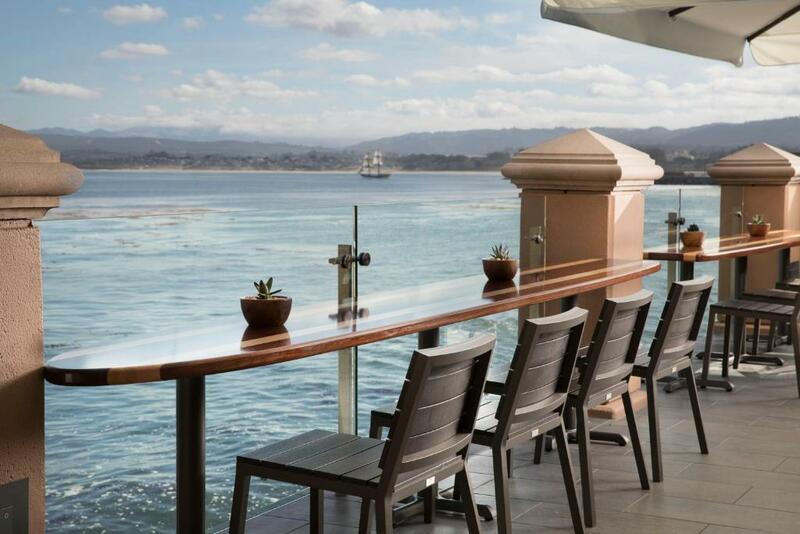 The 291-room five-story property boasts three restaurants from the refined to the casual. And as expected of a hotel of this caliber 24-hour room service is available. Room furnishings include decorator fabrics European duvet bed coverings 27-inch color televisions On Command video systems ceiling fans and custom-designed refreshment centers. 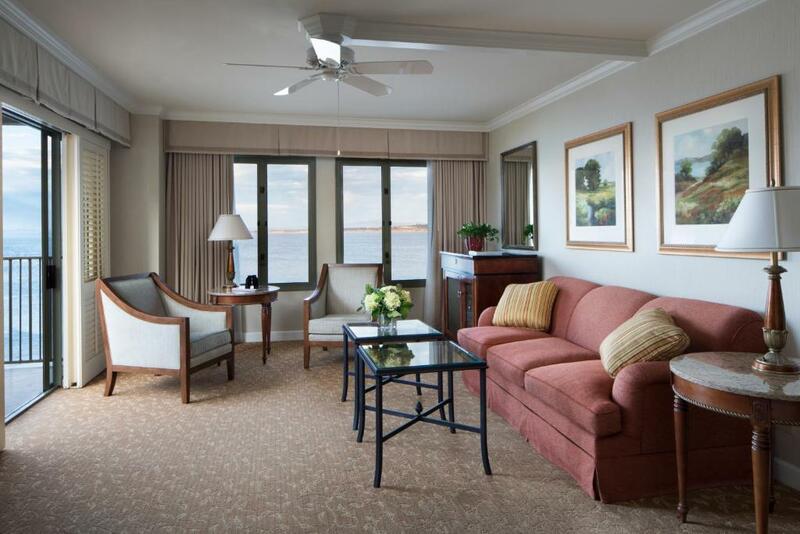 Additional guest-room amenities include nightly turndown service wet bar a stocked minibar and refrigerator. There is an additional charge for Wi-Fi access. The hotel's on-site spa provides rejuvenating treatments in serene surroundings. One flight up on the roof is the hotel's recently remodeled fitness center making your workout something to thoroughly enjoy. And with such views you should have a soak in the hot tub. The hotel offers a free airport shuttle. Valet parking is available for a fee. 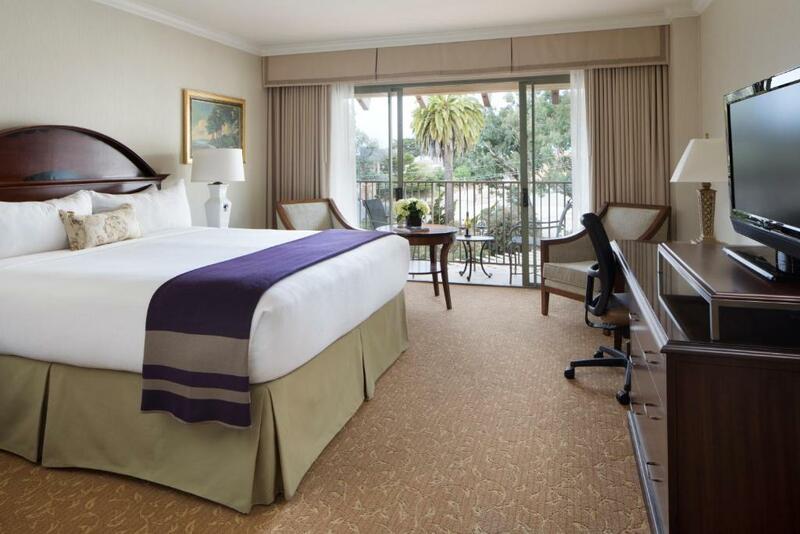 In the thick of it all the Monterey Plaza Hotel and Spa is located right on Cannery Row and just three blocks away from the Monterey Bay Aquarium. It's less than one mile to Monterey State Historic Park and the Pacific House Museum. 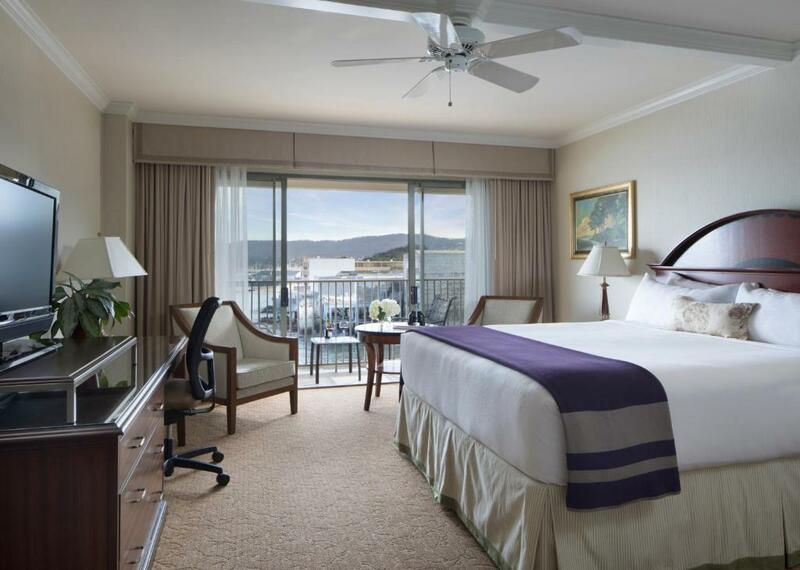 It's just under five miles from Monterey Peninsula Airport and within 10 miles of the Mazda Raceway Laguna Seca. 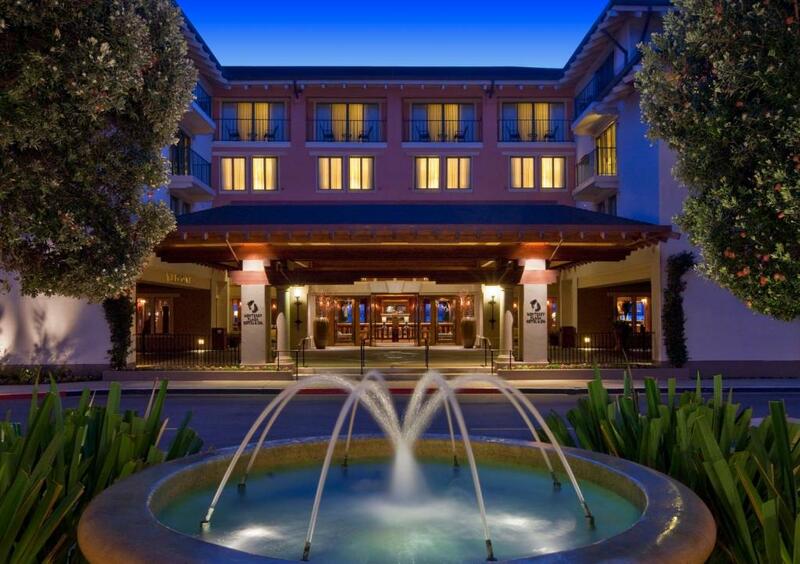 Our guests are taken by the "stunning" setting "accommodating" staff and "spacious rooms" at the "beautiful" Monterey Plaza Hotel and Spa.